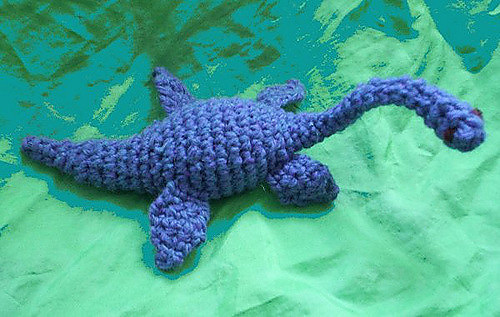 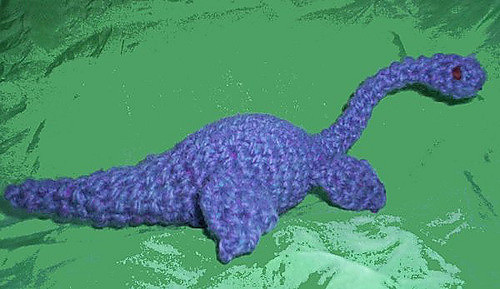 What could be more fun than your own Loch Ness monster? 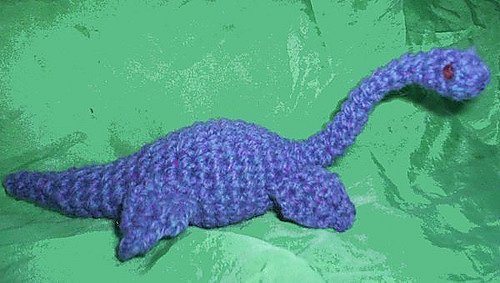 Measuring about 9” from head to tail, Nessie is made of Peace Fleece wool/mohair blend. 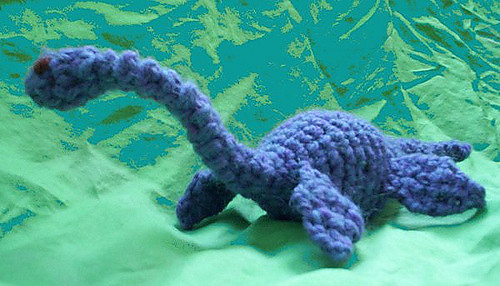 This pattern works up in a couple hours and is good for advanced-beginner crocheters.